From the album We Are the 21st Century Ambassadors of Peace & Magic out January 22, 2013 on Jagjaguwar! Stream Girls Names Track "Hypnotic Regression"
Belfast-based post-punk group Girls Names announce details of their followup to their 2011 release Dead to Me. Their new album is called The New Life, and will be released February 26th on Slumberland Records. The Babies - Baby Video! Off The Babies album Our House On The Hill out now! Video courtesy of Pitchfork. Glasgow-based indie-pop rockers Golden Grrrls will release their debut self-titled LP on Slumberland Records February 26th. Podcast version of the live VIR Radio Show Thursdays 9pm EST on Plaza Midwood Community Radio. Dungeonesse - Drive You Crazy Video! Fun video from Dungeonesse off the "Drive You Crazy" b/w "Private Party" 12inch out December 4, 2012 on Secretly Canadian. Stream Scott and Charlene's Wedding "Epping Line"
Taken from the album Para Vista Social Club out now on Critical Heights! The Mary Onettes - Evil Coast Video! Official video for single Evil Coast released November 27th 2012. From upcoming album Hit the Waves out March 12th 2013. Shout Out Louds - Blue Ice! Yesterday, Shout Out Louds released “Blue Ice,” their first new song in three years, as a 7-inch single made of ice with an instructional video on Merge Records! 10 kits to produce these 7"s of ice were manufactured and Merge is giving one away! For a chance to win, send your mailing address to merge@mergerecords.com with “Blue Ice Giveaway” in the subject line. The contest ends Monday, December 3. Over 350 people have entered already since the contest began a few hours ago! A new Shout Out Louds full-length will be available early next year. Local Natives - Breakers Video! New album Hummingbird is due out 1/28/13! Darwin Deez - Free (The Editorial Me) Video! Darwin Deez new album Songs For Imaginative People is due out February 12, 2013. The Sea and Cake - On and On Video! The Sea And Cake’s album Runner is out now on Thrill Jockey. Video directed by Richard Huntington Swanson off their fantastic album Breakup Song. Fun video for Mezzanine off the Kaleidoscope E.P. released last week! Highasakite - My Soldier Video! Great video for My Soldier by Highasakite. Video made by APPARATET. The Highasakite EP was released back on August 20th. The Mynabirds - Body of Work Video! 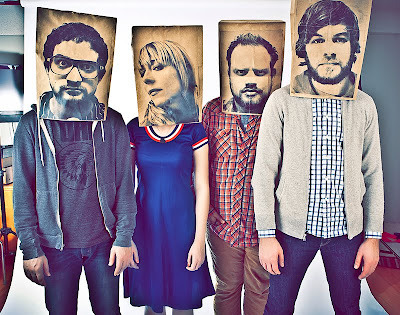 New Mynabirds from their great album Generals! Also just released as a limited run Body of Work 7"! La Sera on The Gorburger Show! In episode 9 of "The Gorburger Show," you can watch La Sera's Katy Goodman as the special guest. "The Gorburger Show" features comedian T.J. Miller as the voice of 'Gorburger,' who interviews (and threatens to kill and eat) popular bands including Dum Dum Girls, HEALTH, Tegan and Sara, The Mars Volta, and more. "What can I say about Gorburger," said T.J. Miller. "Yes he is an alien monster who really has no personal boundaries or filter and knows very little about human culture-- but he loves interviewing people and rarely eats his guests," he added. The series, produced by Funny Or Die, premiered on The Warner Sound in September 2012. Pissed Jeans - Bathroom Laughter MP3! Hey! Finally new stuff from Pissed Jeans! Subpop is releasing a new full-length in Feb. Until then, enjoy this free MP3! Young Dreams - Fog of War Video! Every once in awhile I go to fantastic blog Swede and Sour to see what is new in music from that part of the world. Today I noticed this wonderful video from the Norwegian music collective known as Young Dreams. Fog of War is a really terrific song, give it a listen! Yo La Tengo - Before We Run! Well what do you know! New Yo La Tengo! Fade is due out Jan 14th on Matador!Before We Run is a bit more lush and symphonic than they normally go! I like it! Stream Guards New Track Coming True! I am a huge fan of Guards. In Guards We Trust is due out 02/05/13. Take a listen to this great preview track Coming True. The Faint - Evil Voices MP3!! Having just embarked on their US tour, The Faint announce their 12” featuring four new songs and sold exclusively on the road. The 12” consists of The Faint's first new songs since 2008's Fasciinatiion. To celebrate, the band is sharing the track “Evil Voices,” which you can grab and share via the widget below. The Faint are playing “Evil Voices” on this tour along with other new songs featured on the 12”. The 45RPM 12” was recorded in Enamel, the band's Omaha studio and mixed with Mike Mogis, Bright Eyes member and long-time Faint collaborator. The band has been writing and recording new music after reconvening this summer and are looking forward to releasing more music in 2013. On November 19th, Saddle Creek is also reissuing The Faint’s third album, 2001’s Danse Macabre. The remastered release, which features six bonus tracks from the era as well as an extensive booklet, will be available on CD in a triple-disc format with a DVD, and on double vinyl that also includes the CDs and DVD. Additionally, the DVD will include archival video footage from the band, live projection videos from that era's tour dates, the "Agenda Suicide" music video (directed by MK12), some live footage, and more. Copies of the physical album will be limited to 5,000 for the 2xCD/DVD package and 3,000 for the 2xLP/2xCD/DVD package. Moonface - Headed For the Door Video! Great new video off the album With Siinai: Heartbreaking Bravery released April 17, 2012 on Jagjaguwar! Check it out! Parakeet - Shonen Hearts Video! Parakeet is comprised of Yuck's Mariko Doi, The History of Apple Pie's James Thomas and Jon Jackson. Shonen Hearts is the blistering title track from Parakeet's forthcoming debut EP, available digitally now and on limited edition gold cassette at over the counter exclusively at Rough Trade shops from the 19th November. Devotchka - All the Sand in All the Sea Live Performance Video! Devotchka's new album Live With The Colorado Symphony is really fantastic. Take a look at this great performance video for the track All the Sand in All the Sea! Why? - Paper Hearts Video! Paper Hearts video off their latest release Mumps! Podcast #40 is ready for your streaming or downloading pleasure. Catch the live broadcast Thursdays, 9pm EST on Plaza Midwood Community Radio! Widowspeak - Ballad of the Golden Hour Free Download! Widowspeak new album Almanac will be released January 22, 2013 on Captured Tracks. Take a listen to or download the great track Ballad of the Golden Hour! Yesterday, to celebrate the release of Oneida's A List of the Burning Mountains, Noisey premiered incredible films for both sides of the album! A number of artists created visual scores to sections of the album with the intention of creating a seamless whole that can flow with the whole record. Films for Side 1 and Side 2 encompass all audio from A List of the Burning Mountains LP and are presented by Noisey. Directors for the sections include SR Palm, robotdeathcult, Matt Marlin, Brock Monroe, Mike Bonello, Barry London, Tony Balko, Andrew Deutsch & Maya Hayuk, and Christy Edwards. Oneida will celebrate their 15th Anniversary with a concert on December 1st at Secret Project Robot, 389 Melrose St. in Brooklyn. Bjork - Mutual Core Video! So, Bjork doesn't need help from a tiny little blogger like me. However, Mutual Core is such a strange video it delights me to no end. The video was debuted and is courtesy of MOCAtv, a new online contemporary art video channel, and a digital extension of the education and exhibition program of The Museum of Contemporary Art, Los Angeles (MOCA). 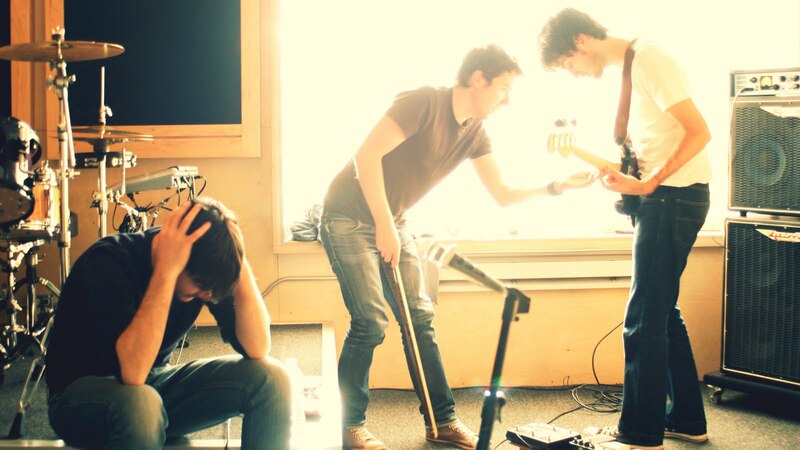 Stream Ra Ra Riots Title Track - Beta Love! Beta Love is set for release January 22 on Barsuk Records. Take a listen to the title track here! It was premiered earlier today on NPR's All Songs Considered. Legendary guitarist Johnny Marr released the first video from his upcoming 2013 self-titled solo record. Another great entry into Sigur Ros' Mystery Film Experiment. This time from director Christian Larson. Video courtesy of Nowness. 7 Silly Questions w/ Autumn Owls! Fantastic Irish band Autumn Owls has had a bit of whirlwind year. Not only did they have the honor of being the first band signed to the new Epitonic.com record label, they also spent a great deal of time in the US recording the label's debut album Between Buildings, Toward the Sea (Oct 23rd) with producer Brian Deck (Califone, Modest Mouse, etc..). On top of which they toured the US & Canda including prestigious dates at such events as SXSW, CMJ, NXNE and CMW. Having just played CMJ Marathon, the band will be back stateside next for SXSW and CMW 2013 along with some additional touring. Ordinarily I would feel guilty asking a band to answer our silly questionnaire while they are so busy. They just played two record release shows in Ireland over the weekend. But, in this case, I was so excited, I just couldn't resist. I am just glad they had a few free moments to answer our these ridiculous questions. Adam: Ini Kamoze - Here comes the Hotstepper. Will: After driving across the states for 32 hours we came off the interstate in Houston driving too fast we realized we were about to miss our turn off so our driver made a last ditch effort across a few lanes and the car went up on two wheels as we flew around the corner. It was a little scary at the time but then after 32 hours of cabin fever we couldn’t stop laughing for the next hour. Adam: Gary, cos he doesn't drive. Gary: We argue every 20 minutes about who’s the most attractive. Road weary or not. Tame Impala - Feels Like We Only Go Backwards Video! Their new album Lonerism is out now! Go buy it! People Get Ready - Windy Cindy Video! People Get Ready today premieres the music video for "Windy Cindy" at the NPR All Songs Considered blog. The band also has a special NYC show on Nov. 14 at Death By Audio where they will be accepting donations for Sandy relief. Arms - Heat and Hot Water Video! Today the latest video from Brooklyn band ARMS premiered on IFC for their single "Heat & Hot Water" taken from last year's swirling sophomore effort Summer Skills. King Tuff - Keep on Movin' Video! Courtesy of Rolling Stone, here's the new video for King Tuff! Keep on Movin'! The Octopus Project - Whitby Video! Earlier today, Stereogum had the scoop on all of us bloggers and debuted the new video from The Octopus Project for the track Whitby of their latest EP of the same name.Take a look courtesy of Stereogum's vimeo page! The Octopus Project - "Whitby" Video from stereogum on Vimeo. Prince Rama - Those Who Live For Love Will Live Forever Video! Just in time to celebrate yesterday's release of Prince Rama's Top Ten Hits of the End of the World, here's an interesting video for Those Who Live For Love Will Live Forever available now from the Paw Tracks store as well as your favorite digital marketplace. The Museum of Contemporary Art, Los Angeles tv-commissioned video feels like a glimpse into the future through an ancient VHS tape. So Many Wizards - Lose Your Mind Video! So Many Wizards are back with a new music video for "Lose Your Mind," the second track off their debut LP Warm Nothing which was released in August on JAXART Records and is distributed through Frenchkiss Label Group. The Little Ones - Argonauts MP3! Fantastic band The Little Ones announced this morning their sophomore release The Dawn Sang Along due out Feb 12, 2013! Take a listen and download the charming track Argonauts! I am really excited for this release. If you haven't heard of the FAWN before, you are in for a real treat. Their debut album Coastlines came out earlier this year and destroyed the CMJ Charts finding it's way into the Top 20 amongst heavy hitters like Beach House, Hot Chip, Ty Segall, and Japandroids. And, in truth, while I love all those bands, I would much rather listen to Fawn. Tracks like Pixels and Break it Off make you want to hit the repeat button on the iPod over and over and over again. With a little help from our friends at Terrorbird, we were able to catch up with Fawn via the interwebs. Thankfully, band members Matt Rickle and Mike Spence had a few spare moments to answer our highly suspicious questionnaire. Matt: Michael W. Smith. Don't even bother looking it up. Mike: Green Day's "Dookie." I was in fourth grade at a new school and felt really embarassed that I didn't know the lyrics to "Longview." Funny, transferring from public school to Catholic school inadvertently turned me onto that song. Matt: No brainer. Narwhals win, because they are real human beings and unicorns are not. Mike: We ended up at some truck stop that sold these strange, gothic novelty household decor items. There was a set of dragon figurines playing instruments - like saxophones and keytars. And then, there was this gem. A gargoyle toilet paper dispenser, which our friend Ray - who was with us - bought as a keepsake. Brian Peters from Qui-Sci said it best: "Fecaemon - protector of your most private of papers." Mike: We navigated through the worst winter storm in history. There were times that we thought we were hallucinating because we had never seem such strange precipitation - like driving for miles through golf balls three feet deep. We thought we saw beams of light from a downed UFO. Turned out, it was a rest stop. Because we survived together, all sins of van etiquette are eternally forgiven. Matt: On Halloween in was Oingo Boingo's "Dead Man's Party" all day, but now it's back to Chris Cohen's "Overgrown Path," Wild Nothing's "Nocturne," and Tame Impala's "Lonerism." Mike: We never fought about anything. Ever. Until those Taco Bell gift cards came into the picture. I thought nothing would come close to topping Sufjan Steven's claymation zombie/snowman video from a few weeks back. But, The Coup have made me second guess myself. Watch Your Parents' Cocaine now! Their album Sorry to Bother You just came out! Fidlar - Cheap Beer Video! We have been singing the praises of Fidlar for months! Finally they have released a video for Cheap Beer! Take a look! Sóley - I'll Drown Video! Also a member of the Icelandic indie acts Seabear and Sin Fang,Sóley Stefánsdóttir performs delicate electronic pop on her own as just Sóley. Sóley released a video for her latest single "I'll Drown" which is off her debut album We Sink. Be sure to catch her on the road this year as she tours with Of Monsters and Men. King Dude - I'm Cold Video! Following the recent release of his new album Burning Daylight, King Dude starts his West Coast tour this evening. To celebrate the occasion, he's sharing a new video for Burning Daylight cut "I'm Cold". Watch the sinister Justin Oakley & Amanda Row-directed video below, along with all upcoming King Dude tour dates. Melody's Echo Chamber - You Won't Be Missing That Part Of Me Video! Great video from Melody's Echo Chamber! Her eponymous debut was released on Sept 25th here in the US and is set to be released in Europe next week! Enjoy! Young Magic - You With Air Video! Off the current album Melt! See below for tour dates! Video Rewind! Yo La Tengo - Sugarcube w/ Cast of Mr. Show!! I ran across this online today and forgot how amazing it was. Sugarcube is one of my all time favorite Yo La Tengo songs and Mr. Show was pretty much my favorite comedy series of the 90s. Put them together and it's pure genius.